The top ranks of the Palestinian Authority are greatly disappointed by the results of the general elections in Israel, which took place on April 9, 2019. The hope of PA Chairman Mahmoud Abbas and the Fatah leadership that Prime Minister Benjamin Netanyahu would be defeated by Benny Gantz, leader of the Blue and White Party, was dashed and ended in disappointment. Senior Fatah officials say that the Palestinian Authority is powerless against any intention to annex the settlements and additional territories in the West Bank, and it does not have any diplomatic options to prevent it. Abbas announced on April 8, 2019, that the Palestinian Authority rejected Trump’s Deal of the Century. 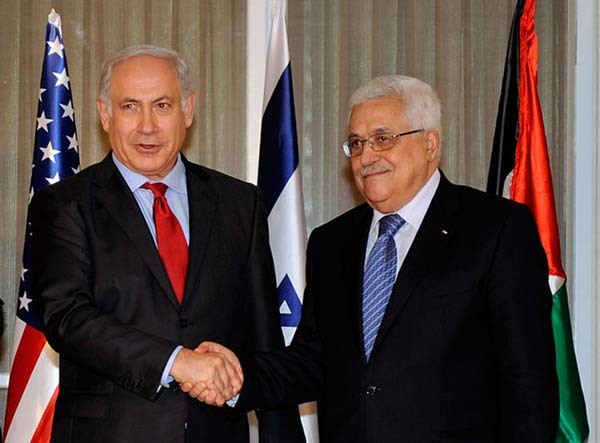 “Whatever will be, will be,” Abbas stated. He continues to boycott the U.S. Administration and is very worried about the weakened stance of the Arab countries toward Trump’s policy in the Middle East. The Arab countries displayed this weakness when the Trump administration recognized Israeli sovereignty over the Golan Heights and declared Jerusalem as Israel’s capital, and it only reinforced the heavy frustration of the Palestinian leadership. The Arab leaders have shown that they are strong in their condemnations, but do nothing when it comes to taking action. The PLO Executive Committee is expected to meet on April 11, 2019, to discuss developments. The gathering was initiated by Saeb Erekat, secretary-general of the Executive Committee, who will lead it. He is very troubled by recent developments, Netanyahu’s victory in the elections, and the intention to extend the Israeli law of sovereignty to parts of the West Bank. The Palestinian Authority is concerned about the annexation of large settlement blocs in the West Bank and parts of Area C. PA sources state that Israel is not interested in annulling the Oslo accords because it does not want to manage the lives of 3 million Palestinians. Israel wants the actual territory, and the Palestinian Authority will be left with the burden of taking care of the daily lives of the residents of the West Bank. Mahmoud Abbas has failed miserably in his determined efforts to create opposition in the international arena to the policies of President Trump regarding the Israeli-Palestinian conflict. Senior Fatah sources have tried over the past year to persuade him to open a secret channel of communication with the U.S. Administration to soften the clashes between the Palestinian Authority and the U.S. government. However, Abbas stubbornly refused, and he continues to boycott the Trump administration.